I'm reaching out to pregnant women today, because I've been reflecting on a clinical study that captures the scope of the problem of lower back (lumbar) pain in expectant mothers and because I have all too vivid memories of how lower back and sciatic pain affected me when I was nine-months pregnant with my first child. This crippling pain continued for a year, at which point I had back surgery that provided only temporary relief. This painful chapter in my life is what started me on my path to understanding the causes and treatments for back pain. Lower back pain and pregnancy--it's a problem! If, as we consider the lumbar region of the body, we reference the very pregnant Mandy in the photo just below, we can begin to imagine why lower back pain can be a problem for some 70% of expectant mothers. What's healthy about Mandy's posture is that she is anteverting, or tilting forward, her pelvis. An anteverted pelvis helps prevent lower back pain because it allows for a natural stacking of the vertebrae, as well as a healthy alignment of the spine over the legs. Extra weight and foot structure. I've know for a long time that weight gain from pregnancy (in concert with the effects of the hormone relaxin) impact the feet and can increase a woman's shoe size by half a size or more, so it was interesting to review results of a study published in the March 2013 issue of the American Journal of Physical Medicine & Rehabilitation. The study, Pregnancy leads to lasting changes in foot structure, reports that for 60% to 70% of the 49 participants, their feet became longer and wider and, on average, the height and rigidity of their arches significantly decreased. Study authors also observed that the loss of arch height seems to be permanent, and that the first pregnancy may have the most significant impact on the feet. 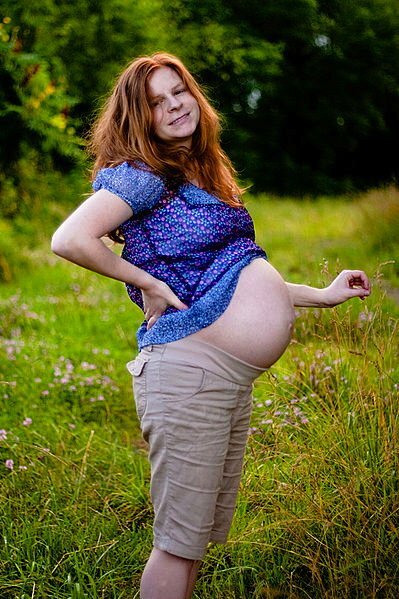 With pregnancy comes a shift in the center of gravity that can be compensated for with good movement patterns and by engaging the internal oblique muscles, which run along the side of the abdomen at about the level of the waist. These muscles can be used to flex the thorax forward and prevent the lower back from arching. (The thorax is the part of the body between between the neck and the abdomen.) By rotating the ribcage forward and, once again, lengthening and flattening the lower back to "anchor" the ribs, even women well advanced in their pregnancy can maintain a comfortable center of gravity. Shifting the weight back solidly on the heels is also a good thing, because it counters distortion in alignment, while also offering the advantage of not overspreading the feet, which can result in loss of structure. 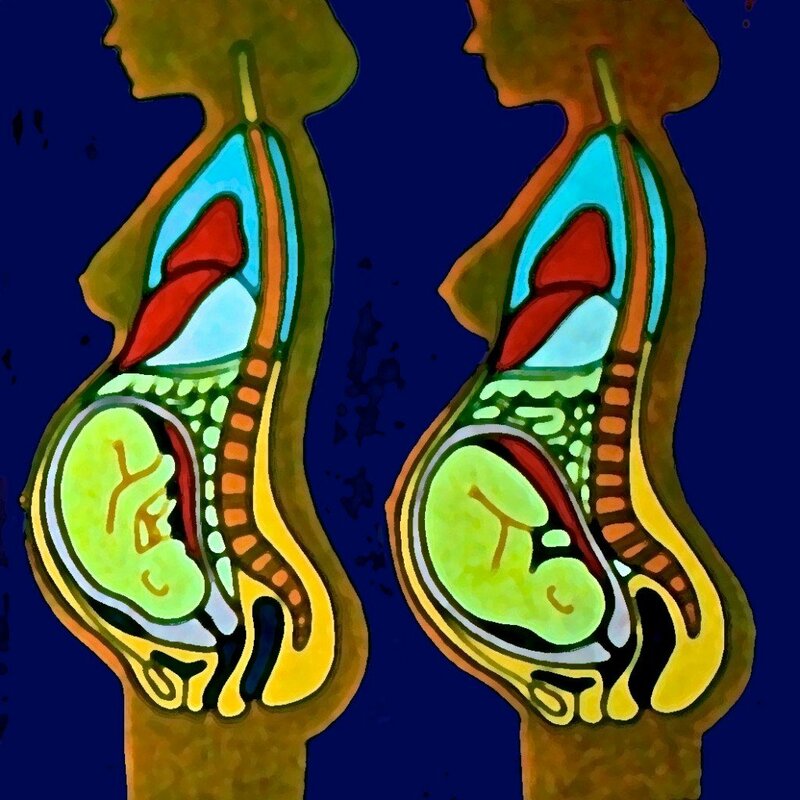 Pregnant women need to take especially good care of their ligaments because the hormone relaxin, which is produced by the ovaries and the placenta and which helps prepare the expectant mother's pelvis for delivery, also works to remodel other soft tissues, cartilage, and ligaments in the body. 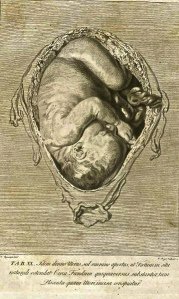 As a result, pregnant women are at risk of losing structure--for example (and as described above), in the feet. The seated woman has made room for her belly, but by leaning so far back she strains her neck and her back. 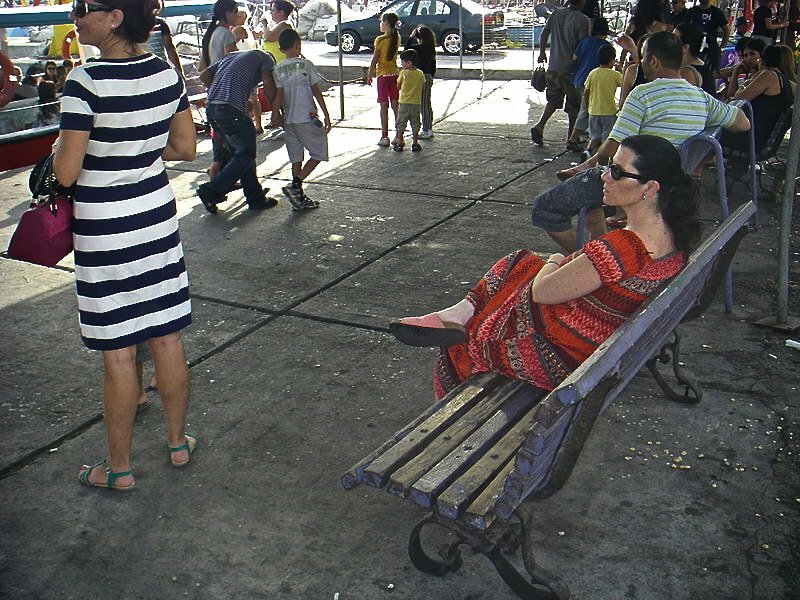 Visual cueing for poor posture surrounds this woman--as it surrounds us all! Lower back pain and pregnancy--some solutions! Authors of the "Low back pain in pregnancy" study, cited above, also make the point that lower back pain can start at any point during pregnancy. This means that whether a woman is one-month pregnant or on the cusp of giving birth, she may be experiencing pain in her lower back pain--pain the Gokhale Method helps address. Healthy spinal curvature, as shown here, can be maintained throughout a pregnancy. The good news is that by making adjustments women at every stage of pregnancy can prevent lower back pain from occurring, or--if pain is already an issue--take real steps to manage this pain. With regard to the rib anchor, it's important to know that the ever-growing baby is potentially pulling the mother's back into an arch. An expectant mother who gives in to this pull will be increasingly swaying her back, which can cause lower back pain and other problems. 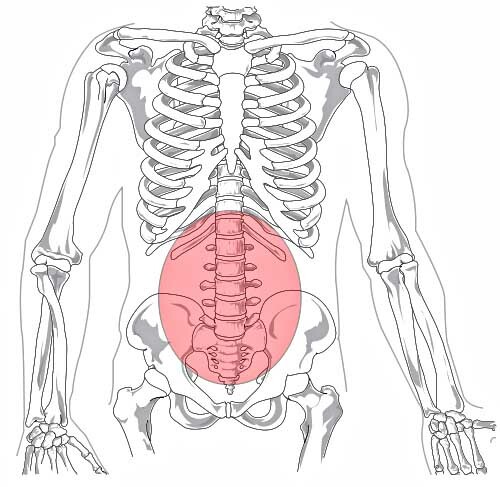 Anchoring the ribs involves keeping the lower border of the rib cage flush with the abdomen. This lengthens the back and helps to frame and lengthen the lumbar spine. By engaging internal oblique muscles as the baby gets bigger, the expectant mother not only reduces the risk for lower back pain, she also gets very valuable abdominal muscle exercise during pregnancy. This not only negates the problem of lower back pain, it makes pregnancy an opportunity to strengthen abdominal muscles, rather than a liability to lose muscle tone. Keeping abdominal muscles nicely toned before during and after pregnancy perhaps even more ties in with engaging the inner corset, which is at the core of Tip Number 2. © Gokhale Method: Inner-corset muscles should not be engaged all the time, however. Instead, pregnant women (and everyone else!) will benefit from contracting deep back and abdominal muscles, off and on, over the course of the day. 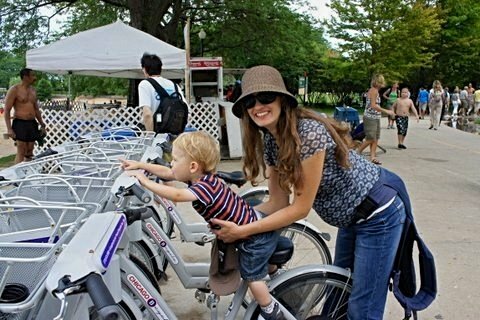 Everybody needs to hip-hinge when they bend, but this is especially important for pregnant women. This is because lowering the body by bending with the knees and curving the back (as is so common in our culture) puts added stress on the spinal discs at a time when the discs are already being challenged by the additional weight of the pregnancy. Keep in mind that the front of each disc in the curve being formed when the back is bent is compressed, pushing the contents of the discs backward, toward the spinal nerves. All authorities agree that this is a risky direction to distort the spine. The features of hip-hinging especially important for pregnant women are to get the legs externally rotated and set apart in a wide stance, so that when they hinge forward, there's room for the belly to settle between the legs. In other words, the legs have to be out of the way, so that the belly can settle between them. If the the knees are not externally rotated, but facing in, then the thighbones will interfere with the torso settling. Because so much bending is involved in motherhood, a very good time to master hiphinging is before and during pregnancy. Doing so will prepare the expectant mother for all the bending that is to come. Positioning the pelvis so that it's slightly tipped forward (anteverted) allows for a natural stacking of vertebrae without muscle strain. Vertebral stacking is important for everyone, but a for a pregnant woman carrying extra weight and with an altered center of gravity, it's really essential. Not only does healthy stacking yield good posture that leaves spinal discs decompressed, it also protects ligamental integrity. Ligaments already loosened by the hormone relaxin are less likely to be taxed when bones are correctly stacked. This will also help protect the feet, which--as noted above--are at risk of losing structure. Engaging the gluteus medius, the muscle located in the upper, outer quadrant of the buttocks, helps prevent lower back pain[/caption] Our "glutes," or buttocks, are made up of three major muscles: the gluteus maximus, gluteus medius, and gluteus minimus. Located in the upper, outer quadrant of the buttocks, the gluteus medius is the "middle" muscle, the one that moves the leg to the side and rotates the thigh. 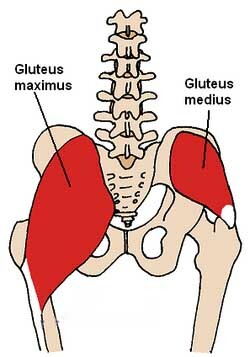 Gluteus medius weakness--a study. Because engagement of the gluteus medius plays such an essential role in a healthy kind of walking I have dubbed 'glidewalking,' and because this muscle also plays an essential role in healthy, pain-free posture, I was very interested to learn that researchers at the University of Iowa Department of Orthopaedics and Rehabilitation conducted a study that found a strong correlation between lower back pain in pregnant women and weakness of the gluteus medius. Specifically their 2009 pilot study, Association between gluteus medias weakness and low back pain during pregnancy, found that "pregnant women with gluteus medius weakness were roughly 6 to 8 times more likely to have low back pain than those without weakness." The findings confirm what I have long known from my own research and practice--that strengthening and regularly engaging the gluteus medius is really key. Stretchlying on the side--that is, lying with a lengthened back, anteverted pelvis, and knees slightly bent--represents an opportunity to restore healthy architecture during sleep and reinforce the neural pathways that will help create muscle memory for a healthy J-shaped spine (as opposed to a curved C-shaped spine or an over-arched S-shaped spine). Not only does stretchling on the side decompress discs and improve circulation when the expectant mother is at rest or asleep, it also helps create muscle memory for an anterverted pelvis and lengthened spine when she's up and about. For women unaccustomed to what good posture feels like, healthy muscle memory can be hugely helpful. Because the extra weight in the belly tends to pull the expectant mother's spine out of alignment, tucking a soft pillow in under the belly will help her resist the pull of gravity and maintain a neutral position. During pregnancy, anything that spares pull on the skin, muscles, flesh, ligaments, and spine, is a very good thing. 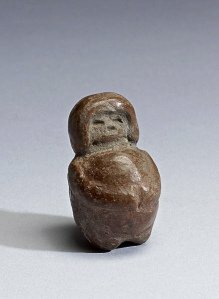 This very pregnant figure models very nearly perfect posture[/caption] The image above captures very nice pregnant posture. 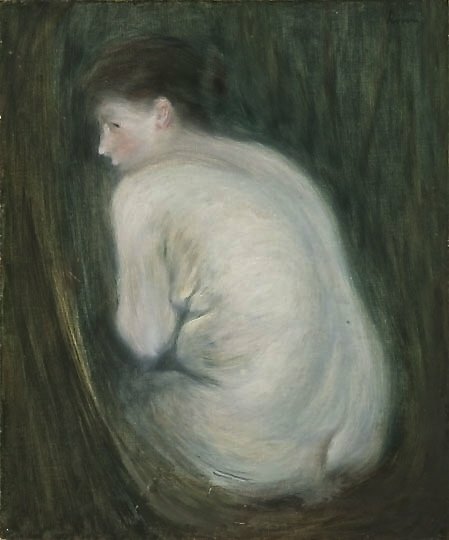 The woman's back is not significantly arched, her spine is more or less J-shaped, and her shoulders are rolled back. The illustration just above provides another excellent model for how a pregnant woman can stand without arching her back. Plucked from a 1925 French anatomy book, this image lets me know that the French at that time had right idea about healthy curvature of the spine! Next Post: Desk Work: Sit? Stand? Both? A very timely post for me and my 34-weeks pregnant wife! Thank you for sharing so much knowledge! So glad to hear! Do encourage your wife to attend one of our free workshops (in person or online). We'll teach her how to keep her back long and J-shaped, which will serve her well in her late pregnancy and through the baby carrying years. Better still, have her take the Foundations course - it works well even in advanced pregnancy. thanks for providing such an valuable information to us!!!! I am hearing more stories about 20, 30, and 40 hour labors that end in cesarean delivery for mal-positioned babies in ottherwise healthy women who did optimal positioning, yoga, hired doulas, took CB classes, etc. Do you think our pelvic girdles are changing due to spending so much time in chairs and even carseats from infancy and early childhood? Evolution of the pelvis happens on a very long time cycle, of course, but it's true our culture has shifted so more and more women are showing up with distoritons in their pelvises - and the troubles that go with that. Very insightful article. As there are many causes of lower back pain in women who are pregnant, this serves to arm them with proper tools to combat unnecessary stress and pain. Thanks for your supportive comment! We try to extend help in as many ways as possible. I appreciate the internal oblique instruction. 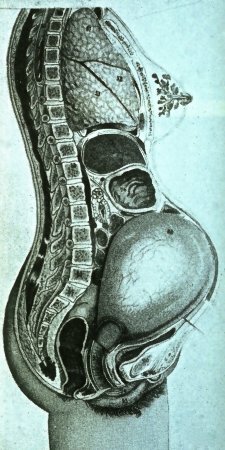 The pregnency casses I have encountered have had the psoas minor inhibited by the pressure of the baby. 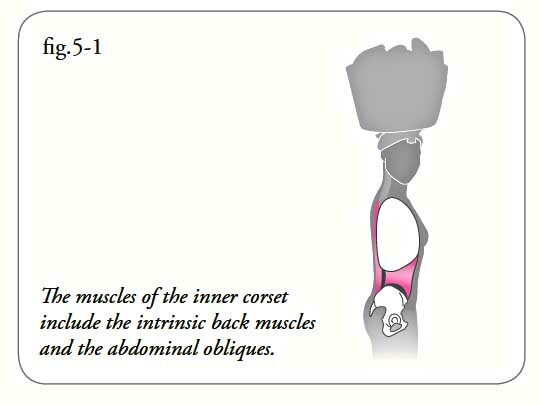 The psoas minor is the muscle I encourage to anchore the thoracic lumbar junction when there is not the abdominal weight because it stabalizes the pelvis when walking and contributes to spinal spring action. I have found that slender people with underdeveloped psoas minor and over developed oblique anchoring tend to bend at the thoracic lumbar junction resulting in a large upper S and a small lower S with impingement of lower lumbar faccets. Hope to take some of yor classes in the Seattle area. I did not read before this great article and helpful tips on Pregnancy and Lower Back Pain. I think some light exercise can help to reduce back pain. Also recliner chair may help to reduce lower back pain who are pregnant. So I'm searching for a chair of some sort, particularly for use when I'm exhausted and need to rest (without going to just lay down, which often makes it harder for me to get back up!) and for breastfeeding. An office chair without handles definitely won't do. I'm a newlywed and we don't own a couch and may never. Do you have a recommendation for a kind of seat (I suppose we would say recliner) for good posture yet complete rest? A reclining chair is a good idea. Modify the shape to support a J-spine. The Stretchsit cushion can help enlongae the back even in a recliner. Very good and well-written article. You have to maintain the correct sleeping posture, good sitting posture, avoid lifting heavy weight, sufficient rest at day and night, good recliner chair, proper healthy diet, etc. These above tips will help you to prevent and cure your back pain when pregnant. Women can't do exercise during pregnancy period that's why they suffer from back pain. In this period, they have to maintain good sleeping posture, correct sitting, avoid doing heavy work, taking healthy diet, massage therapy, acupuncture, etc. There are a lot of reasons that can occur back pain. You have to know the common causes of back pain such as slouching, hunching, long time work on desk/PC, long journey, too much stress etc.